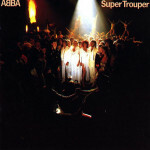 ABBA, Super Trouper: I’m still trying to re-board the ABBA bandwagon I abandoned when I was 10 years old, so I’m starting with the albums that were made after the group’s disco apex. Alison Moyet, Alf: “Invisble” was a great single, but it seems to be the only decent track off this mid-80s debut. Ani & Ida Kavafian, Mozart Duos: Nonesuch released this album around the time Bob Hurwitz was rebooting the label, so it strikes me as a leftover from the previous administration. Beaux Arts Quartet, David Diamond: String Quartet No. 4/Samuel Barber: String Quartet: It seems only one complete recording of the Barber string quartet is in print at any particular time, so I’m always eager to hear other quartets interpret this flawed but compelling work. Buckner and Garcia, Pac-Man Fever: Ah, man, did I want to get this album when I was 10 years old, right around the time I weaned myself from ABBA. Coincidence? Diana Ross, Diana: I have the 7-inch single of “Upside Down”, and I wanted to find out what was so special about this album that it warranted a deluxe reissue a few years back. George Antheil, Symphony No. 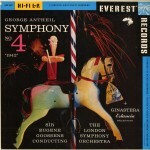 4: Holy crap, the Everest Recording Co. sure did release some hi-fi albums, and this recording of Antheil’s raucous Symphony No. 4 just overpowers the stereo. Holly Johnson, Blast! : Holly Johnson’s debut solo album after the demise of Frankie Goes to Hollywood is a pretty durable pop record. It really ought to get a digital reissue. Jody Watley, Larger than Life: I actually wanted to find Watley’s self-titled debut, but this album turns out to have stronger material. John Harbison, Ulysses’ Bow/Samuel Chapter: Nonesuch partnered with the Meet the Composer program for a few years, and this album is still in print through the Marco Polo label. Nu Shooz, Poolside: “I Can’t Wait” and “Point of No Return” were big hits, but the rest of this album isn’t terribly remarkable. Sigue Sigue Sputnik, Flaunt It! : Yeah, I think I understand why the critical reception to SSS wasn’t very welcoming. Squeeze, Babylon and On: I liked “Hourglass”, but I get a Culture Club vibe from the vocals. Steve Winwood, Arc of a Diver: I have a soft spot for “When You See a Chance”, mostly for it’s somewhat surreal music video. The Family, The Family: This album is probably the one Prince should have released instead of Around the World in a Day. The Platters, Encore Golden Hits of the Platters: My dad had this album. Timex Social Club, “Rumours”: Purely a nostalgia purchase.